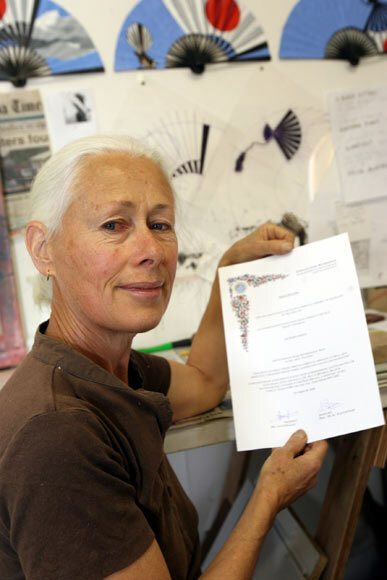 Robin White, a highly regarded New Zealand artist, is also a leading member of the Bahá'i faith. She and her family spent 17 years in the Pacific islands of Kiribati as Bahá'i missionaries. White is seen here in 2006 with an award and a $7,500 grant from the Belgian Samii-Housseinpour Foundation. The Foundation encourages excellence by followers of the Bahá'i faith.